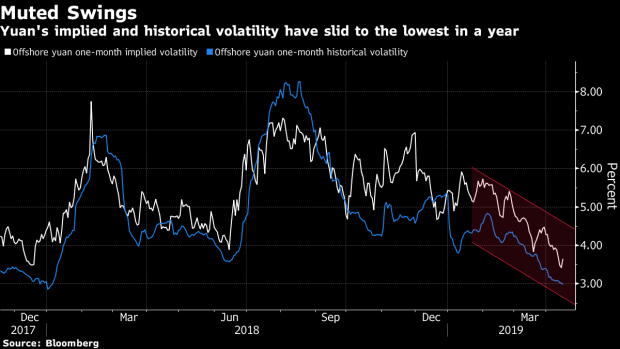 It’d be better to wager on higher rates resulting from faster growth in inflation because it’s just too hard to make money in a currency market beset by low volatility, said two traders in Shanghai. To do this, bet that interest-rate swaps will continue to rise, said the traders, who asked not to be named as they aren’t authorized to speak to the media. The yuan’s 12-month IRS has already surged 30 basis points this month to 2.91 percent, the highest level since July. --With assistance from Qizi Sun.